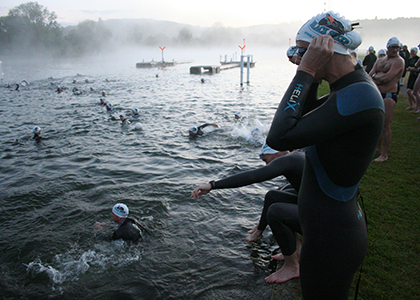 Overview: The Henley Classic is a 2.1 km endurance, upstream, swimming event, held over the Henley Royal Regatta course, very early on the Sunday morning before the Wednesday start of Henley Royal Regatta. 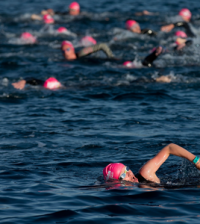 This event is a celebration of mid-summer and provides a unique opportunity to swim one of the most famous and beautiful stretches of open water in the world, at one of the most beautiful times of the day – dawn. A key feature of the event is that you arrive in darkness and walk the 1/4 of a mile to the start into the sunrise, led by the torch carrier. 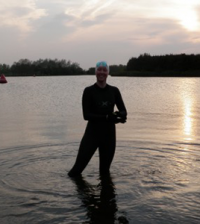 Overview: With a start under a moonlit sky at 9:40pm, you set you off in the romantic dusk of a midsummer’s night to take on the challenge of either 750m Half Moon or 1500m Full Moon swim around the fabulous Tri2O lake. You’ll arrive on the evening to the playlist of resident DJ and the obligatory playing of the Jaws movie theme and “Beyond the Sea” and many more. 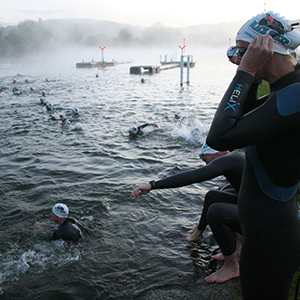 For the swim you’ll be well lit and adorned with glowsticks as you swim around the illuminated course. There’ll be plenty of kayakers on the water for your safety. 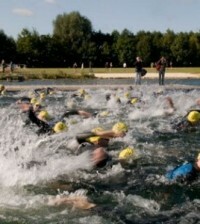 Overview: Starting with a rocket, swimmers can race or leisurely complete one 500m lap of the quarry. 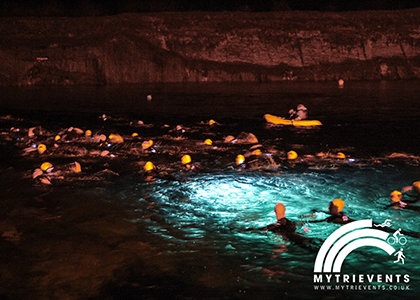 This should be long enough for you to experience the beauty of night swimming in the safe surroundings of the quarry. 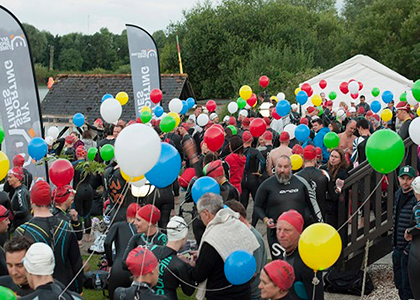 You will be issued with a glow stick for your wetsuit or goggle strap and the safety canoeists will be well lit up and the buoys visible to guide you round the 500m circuit. Everyone completing the event will be electronically timed and awarded their GLOW in the dark medal.